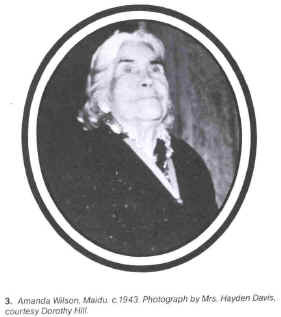 "Amanda Wilson was born in the 1860s and by the 1880s she had moved to a Maidu village on John Bidwell's Rancho Arroyo in Chico. She died in 1946. She was a very traditional weaver and that is what makes hard to distinguish her baskets from that of other weavers in her area. 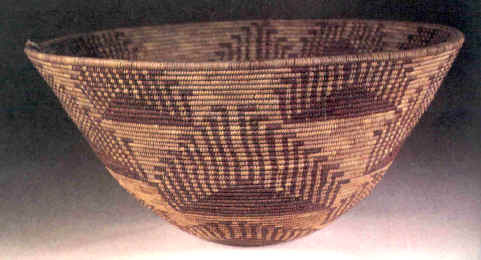 Most of the remaining baskets made by Amanda Wilson are the property of her close friends and relatives." All info and pictures were taken from the Amanda Wilson article in "Indian Art Magazine - Summer 1984"
1984 Amanda Wilson: Maidu Weaver. American Indian Art Magazine 9(3):38-43. Mandy's Baskets are a Dandy!! !